We are writing to demand that you cease and desist any and all use of Dr Mann’s likeness, which you have misappropriated in various videos posted on your webpage http://www.minnesotansforglobalwarming.com, including the video Hide the Decline –Climategate. You are hereby advised that the use of Dr Mann’s likeness, which you clearly misappropriated from PSU’s webpage, http://www.meteo,psu.edu/~mann/MRG/index.html, is not authorized and infringes on various copyrights. Such use also improperly misappropriates Professor Mann’s likeness for commercial exploitation, given that the video clearly supports Minnesotans for Global Warming’s efforts to sell various products and merchandize. Finally, the referenced video clearly defames Professor Mann by leaving viewers with the incorrect impression that he falsified data to generate desired results in connection with his research activities. This false impression irreparably harms Dr Mann’s personal and professional reputation. For these reasons, we demand that you immediately cease and desist using Dr Mann’s likeness and that you immediately remove the defamatory video from your webpage (including cashed [sic] versions.) If you persist with this defamatory activity, please be advised that we will be compelled to enforce Dr Mann’s rights, which may include the recovery of damages from you. Please contact me to confirm your intentions or if you wish to discuss this matter further. The letter was copied to Mann and to Tom Cogill, Photographer. The original video has been removed from Youtube. However, the story doesn’t quite end. the No Cap-and-Trade Coalition, a group that includes M4GW, responded today at an event at the National Press Club, releasing Mann’s threatening letter and an updated version of the “Hide the Decline” video. See a release of Hide the Decline II, available here. The new version carefully avoids any use of the “copyrighted” Mann photographs. It is also more precise in its presentation, evidencing a much clearer understanding of the trick than the wilfully obtuse Oxburgh “Report” or Willis Parliament Committee Report. Minnesotans 4 Global Warming hope Mann will proceed with his lawsuit so that the legal discovery process will force exposure of data and methods Mann has still not released and that the official whitewash inquiries refuse to investigate. This entry was written by Stephen McIntyre, posted on Apr 20, 2010 at 6:35 PM, filed under climategate and tagged hide the decline. Bookmark the permalink. Follow any comments here with the RSS feed for this post. Both comments and trackbacks are currently closed. And yet the old one is at the new site as well. I’m puzzled by that. Yes, let’s have this go to court. Although, did he “falsify data”, or did he merely omit data that didn’t match his preconceived conclusion? On the other hand, if the last 30 or so years of tree ring data doesn’t match that time period’s observed temperatures, ignoring that and claiming the previous tree ring data is accurate, does seem to fall into the “falsification of data” arena, does it not? What an arrogant so and so. But then again – just as people were forgetting about the video, Mann does this and ouila, the stick is back in everybody’s center of attention. This guy keeps proving that he’s not really as smart as he thinks he is. I think you mean “voila”, not “ouila”, unless I’m mistaken. And did they really write “merchandize”?? Well, Jeff I always spoke French better than I wrote it, and now after living down south for 20 years, and not speaking it except for when I visited Quebec once and Ottawa once in that time, I kind of forgot how to spell it, so just went with lip memory. It’s voilà. Think wuala. A nice service, this wuala stuff, btw. So how do I get on the legal defense fund? Go to WUWT. They have a link on their posting. Bad; needs edit, should be: how do I get on the legal defense team? Since Mann is a famous or infamous public figure at this point through his many media interviews and PR activities, I don’t see from a legal point of view how he can sue for much of anything. No liable and the copyright stuff is flimsy. Seems like a blunder to even worry about this youtube video if it is so beyond the pale. Good point. Mann wrote an opinion piece in the Washington Post assailing Governor Palin. By such gestures, he makes abundantly clear he is a politician or self-promoter, rather than merely an incompetent scientist. MFGW will have the burden of proof on the truth of any potentially libelous statements. Mann as a public figure will have to prove constitutional malice. Interesting that a DC law firm is representing Mann (who lives in Pennsylvania). I wonder who is really paying them? The photographer Tom Cogill appears to live in the DC area. This may be the legal firm he retains for his photography business. The audio on the new video was full of static when I played it. Amusing, nonetheless. Global Warming science equals shoot your own feet off? Its got to be post normal science, crazy,lazy and stupid? I will contribute if Mann can be forced to defend his … um science? ego? Sorry what is he defending again? I didn’t know that MM copyrighted his image. If they made the video before he did that, would its continued exposure be grandfathered in? I wonder what the “cashed versions” of the videos are meant to be. Perhaps legal speak for how much its gonna cost ya. Maybe like ‘cashed versions’ of the hockeystick? Perhaps climalegal speak for how much it’s made for ya? I imagine that you mean ‘cached’. In web-speak, a cached item is one that has been stored as a temporary copy of the original, for performance or history purposes. ‘Temporary’ can mean anything from seconds to minutes to years, depending on the particular purpose, but denotes storage of a copy that isn’t guaranteed to always be there. When you view a web page, all of the images and files are stored in your browsers cache, so that if the same file is requested again, your computer gets it from the browser cache instead of downloading the file again. Web servers cache frequently-requested items to improve performance. The Google cache is Google’s temporary copy of indexed websites, as at the last time that Google looked at the site and memorised the contents for search indexing. You can view the cached version of most sites through Google by clicking on the ‘cached’ link in the search results. In the case of the video, ‘cache’ will be being used to describe the various copies of the video made and posted all around the internet. It’s a technically inaccurate description since they are copies and are not likely to expire and be removed. And Google does not store large items like videos in it’s search cache. That letter seemed pretty amateurish to me. The misspellings are comical, and I’m not even sure it’s possible for the website operator to erase cached copies of their site, depending on where they are cached of course. This just seems like such a bad PR move that I have to wonder what their real goal is. Excellent reception here for new video, preferred the old, can see zero chance of it disappearing from the internet. Over the ocean, we have ready-made lyrics. He acts mighty peculiar now. He just isn’t the same somehow. heh- that would be ‘cashed’ copies, according to the letter of the lawyers. Freud of the poisoned tree. Hit the submit button too soon. Copyright “Next Decade Entertainment Inc.”, Mann Curtis. Yep, it really was written by Mann. Recorded 1954 by the Mills Bros. There’s more. If as that blog reported, “Minnesotans 4 Global Warming, hope Mann will proceed with his lawsuit,” why was the original video replaced with a different version without that photo of Mann? As I pointed out when FordPrefect was making his veiled legal threats, the last thing Mann and the others want is a legal case with discovery and testimony under oath. Minnesotans for Global Warming have obviously figured this out too. As far as the video being removed from YouTube, YouTube will remove videos immediately if someone complains, regardless of the merits of the complaint. JibJab Media is who requested the removal, they are a digital animation company. What is the story behind that? My take is that Peter Fontaine did this on the cheap as a favour for either Mr Mann or Penn State University. I base this on the brevity, misspelling and utter lack of analysis — no sense in having a second set of eyes on something that’s likely not being paid for. In any case, to Mr Fontaine’s credit, it received a response albeit not an entirely satisfactory one. If I were him I would probably chalk up a “W” for getting M4GW to take down the original version although the publicity will not be viewed favourably. Interesting that the “learned friend” left his Email address on the letterhead. I wonder how many folk have taken the time to send him messages of “interest” – shall we say. He could be taking some time to filter out his genuine client Emails. the copyright. The University of Pennsylvania holds the copyright. In short, the letter is chock full of bluff and bluster. Now they get to prove that posting the revised “Hide the Decline” material constiutes unprotected criticism and is thus defamatory or sit down and shut up . I am suddenly reminded of several Aesop’s Fables. Soft of funny ones. I wonder whether it’s libellous to imply that any fat foolish-looking fellow can be used to represent W@uu? The whole thing seems fishy to me. I await Dr. Mann’s distancing himself from the the whole thing with baited (sic) breath. I would be a little circumspect about the ‘bring it on’ attitude of some regarding a court case. We have just witnessed in Britain two investigations that show the ability of the establishment to come to conclusions that most here will have found quite eccentric. Certainty of an opinion is no guarantee of success in court. Remember, using a ‘trick’ to ‘hide the decline’ was legitimate behaviour – an official enquiry said so. Their point was that discovery would force Mann to divulge that which he has not been willing to do when people have requested it. In discovery, Mann would have no choice. A further point – litigation is expensive, civil cases only get as far as court because both sides are confident of their position – (at least) one side always leaves embittered by what they consider an unfair judgement. The general advice is: stay out of court unless you can afford to lose. Bear in mind that it’s much, much harder for a plaintiff to win a defamation suit in the US relative to the UK. Also, Mann might be a public figure of some sort (limited? ), this would make it harder still for Mann to win if a case proceeds in the US. “You know you’re in trouble when you’re being spoofed on Youtube”. That is really funny, especially the first version. I don’t know what Mann was thinking, as I doubt I would have seen this if he hadn’t protested. I think both the post by the blog-owner and the comments below testify to the incredible low level of the so-called science-auditing taking place here. Get something important to work with instead of this meaningless bashing of individuals and petty nit-picking of unimportant trivalities! And you´re wondering why scientists and various committees do not listen? As in all these cases, it’s not the crime it’s the cover-up. Mann’s decline was self-inflicted and (always assuming that the letter from the lawyer is genuine (cashed(?)) he’ll feel even more sorry for himself on the day he first has to publicly state his case and be publicly cross-examined. There’s a huge big difference between the cosy spotlight of a tv-studio and the glaring light-of-day shining on a witness box. Not only Dutch copyright law is quite clear about this: the copyright of a “likeness” [photograph] of a person portrayed belongs to that person, unless he is in the public eye. Mann has no grounds to sue on that base. In fact, taking his claim ad absurdum meant no political cartoons are allowed. Some people would like that, to be sure. There’s also, in the US anyway, fair use as satire or parody. “Peter J. Fontaine is co-chair of the firm’s Energy, Environmental & Public Utility Practice Group and the Climate Change practice area. Peter is a leader of Cozen O’Connor’s Climate Change and Environmental practices. He helps sustainable technology companies in the highly dynamic world of environmental and energy law. He works with several leading renewable energy and clean transportation companies, including a manufacturer of photovoltaic cells, a micro-wind turbine company, a biogas company, and an electric vehicle technology company. His work includes counseling companies on new markets, project development, environmental attribute credits and related matters. In 2008, Peter conceived and helped form a new coalition of emerging electric vehicle companies, the Battery Electric Vehicle Coalition, which promotes changes to federal law to enable a commercial market for electric vehicles. The Statement of Claim is signed by Roger D McConchie, a specialist defamation lawyer and it may be that Weaver is referral from Cozen O’Conner to McConchie Law Corporation. PS: He looks a nice chap in his photo though…not everyone is so photogenic. Apparently some outfit called JibJab Media has blocked the new video, at least at the link included in the original post, on the grounds that the video used some media copyrighted by JibJab. http://sendables.jibjab.com/originals/this_land . They’ve been in controversy with people that they’ve parodied, asserting their right to parody others. I wonder what copyright interest they are asserting. I’m not sure what Mann is. His science is certainly publically funded. If Mann won this case, then all the zillions of parodies out there would be banned and Sarah Palin would be the next president. Yeah Jibjab is pulling them all down not just the new one but old ones put up by different youtube accounts.. I don’t really know what their claim is. Its not like they own the right to the cutout animation style. I think South Park Studios needs to sue jibjab if that is the argument jibjab is making. Looking at the old text I think Jibjab did the animation for the first one and are now pulling it. The alleged damage is already done. So why doesn’t Mann sue? I’d say his lawyer told him he doesn’t have a case, and so they opted to fire off a threatening letter hoping Elmer would blink. And he did. Satire is protected free speech so I doubt Mann has a tree ring to stand on, but I’m no lawyer. I doubt they can even do anything about the use of the photo because the video is just satire and is not selling anything. Anyone consider how wonderful a name ‘Cozen’ is for a lawyer? I can’t watch the video. When I follow the provided link it says “This video is no longer available due to copyright claim…” when I try to start the video…? Release 2 is censored in Oz now by copyright claim from JibJab Media Inc. Release 1 from Pops is working well. We are hearing more talk about Internet censorship in Australia. Steve, at https://climateaudit.org/2009/01/26/a-new-metric-for-amplification/ Posted Jan 30, 2009 at 11:37 PM I noted what appeared to be a CA block. Were you ever able to confirm it? We need the ammunition. Geoff. Every time someone calls my cell phone — often since it is a work phone — hide the decline rings loud and clear. Even after months, it still brings a smile to my face. If it is true that any data fed into the Hockey Stick program produces a hockey stick shape then wouldn’t Mann’s code witness against him in court? The Statement of Claim is available to read. It is breathtaking in scope. Enjoy the read. Call me when it gets to trial, if I am still alive. Contrary to repeated claims in The National Post, the Michael Mann “hockey stick” has not been discredited. 2 of his posts are also cited as repeat publications by a third party of the alleged defamation. Well, now. This could get very interesting if the judge has more than an arts degree…. I’d be willing to do some pro-bono work for the defense. As others have commented, I think we’d be calling Mann’s bluff, since he surely doesn’t want the light of civil discovery cast into the dark corners of his data. But, at least based on the info I’ve seen so far, the threat is laughable on its face. In my opinion, the the enthusiasm I’ve seen among some members of the IP bar is unhealthy. I recently had an argument with a couple who seriously believed that college baseketball players from a famously successful team in the 1970s should get royalties on a video game that let kids play them. Anyway, since NY Times v. Sulivan, I don’t think there’s much room for Mann’s suit, at least in the U.S., and I don’t think that fact will be lost on the courts. I’d love the chance to argue this case in front of an appellate court. Has RealClimate morphed into DeepClimate? The latter site claims the criticism against the Hockey Stick is bogus. I don’t have the expertise to pick apart the claim so here’s the link. BTW, this site also disparages Wegman. 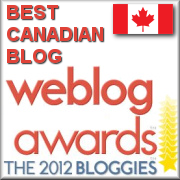 The blog’s owner is Canadian. His point is only this – that the trick would have worked about as well even if the end of the truncated Briffa reconstruction hadn’t been tucked into a back layer. The main aspect of the IPCC trick are of course (1) the deletion of post-1960 values to hide the decline: (2) secondarily, the modification of the smooth by using plugged values in the forward pad rather than actual values; (3) ending in a tangle of spaghetti with a color scheme so that the dangling endpoint isn’t distinct; (4) having the endpoint in a back layer so it’s that much harder to see. DC argues that the 4th element is relatively unimportant to the successful functioning of the trick. I agree that it is less important than the first three elements. Obviously the deletion of post-1960 values is the key element of the trick to hide the decline. It is hard to deny that our climate is changing, and instead of fighting and ignoring it, we should be embracing the tools to make the best that we can out of our current situation. If someone has been affected negatively by climate change, then they can file their grievances at http://www.claimer.org/registerDamages and that organization will organize legal actions on your behalf. They won’t necessarily get it done quickly or react to every claimant or take every claim seriously, but it is at least a good start to get your environmental damages registered there. Especially if everyone affected registers, then they may be able to produce reports about the amount of damages they found were caused by climate damages.